Yesterday my sister Kim and I took a trip over to one of my favorite places to thrift shop...Restore! Now the last few times I was in there I made no big purchases just a few little items, so I wasn't really expecting to find anything yesterday. 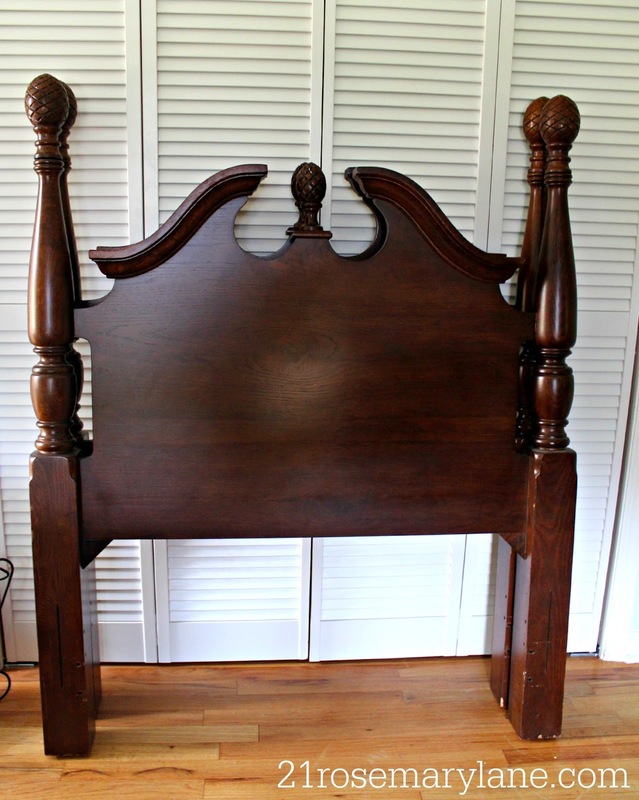 But as I was milling around I came across this incredible solid wood headboard for a single bed, complete with pineapple finials, for only $30! 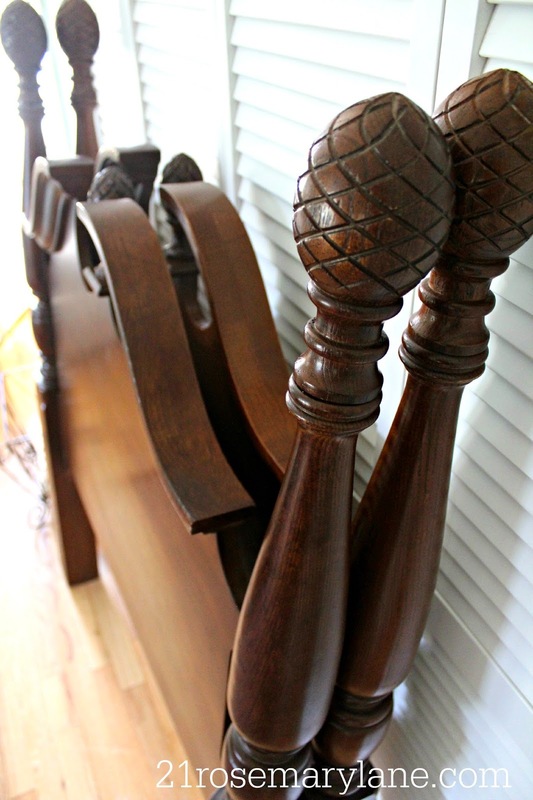 I closed my eyes and wished to myself that there would pleeease be a second headboard somewhere in the grouping of old headboards. 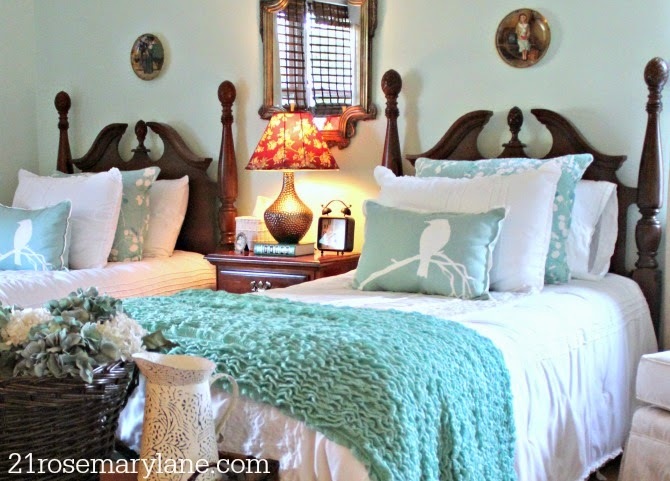 When I opened my eyes I carefully scanned the collection and low and behold...there was a second gorgeous headboard! Oh my stars my wish had been granted by the thrifting fairies! And trust me that never seems to happen! 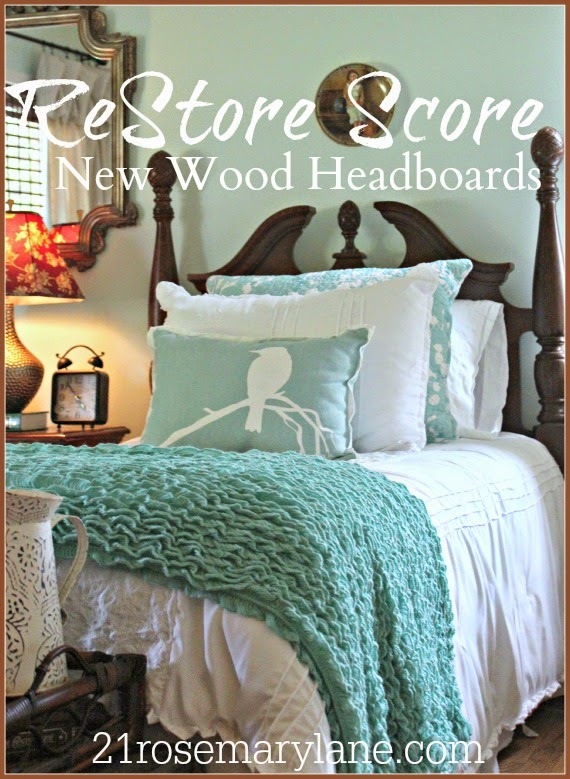 Now if you have been following me this summer you may already know I have a couple of headboards which were castoffs from my friend Donna's beach house. I knew at some point I would probably replace them, I just didn't think it would happen so soon. ...and here are the new ones! And the best part was that my sweet sister Kim just happened to have in her pocketbook a coupon for 20% off an entire purchase of anything in the store. So for just around $50 I was able to purchase both headboards. I debated as to whether or not I should paint them, but the wood is so beautiful I couldn't really entertain the thought for anymore then about a 30 seconds. I am so thrilled with my big score I could just squeal! The total cost for the new furniture in this room comes out to a whopping $110. Hope you all enjoyed a wonderful long holiday weekend! The kiddies go back to school today so I will be performing my annual "Happy Dance" in the middle of the block as the bus pulls away. Lucky find, Barbara! Room is complete, amd very beautiful. 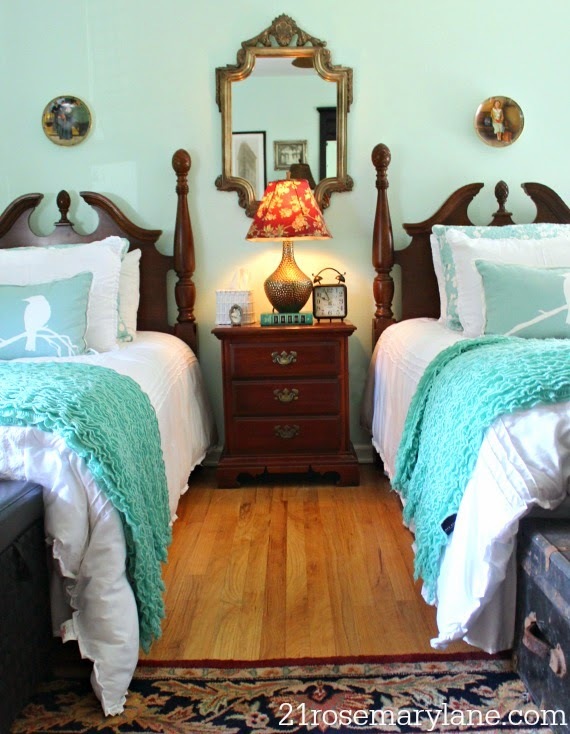 Oh my word, the headboards are totally unreal. I love them and yes, definitely a fabulous score. What a gorgeous find. I would be doing a happy dance too. Wow ! What a change those made ! They look beautiful ! What a great find, Barbara! 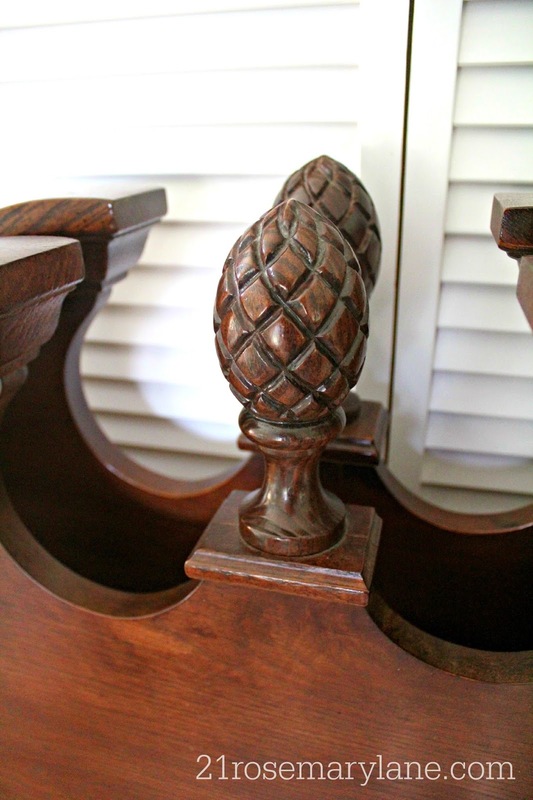 The headboards are beautiful; and I love the pineapple finials! Hahaha..l what a lucky find ! They are luvly. Absolutely STUNNING find!!!! You really are lucky! 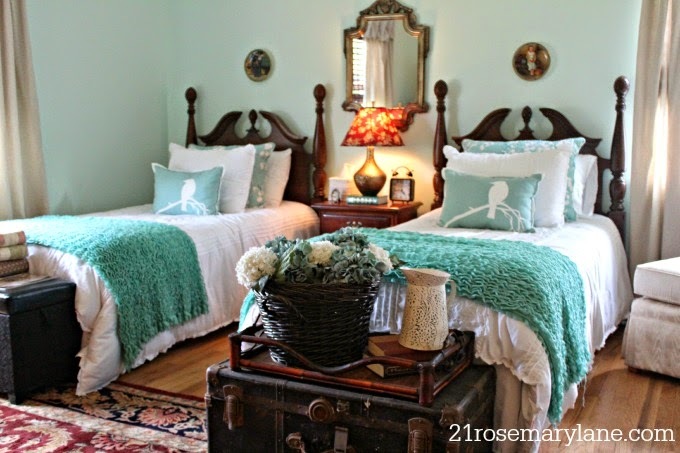 The room is beautiful... well done! Unbelievable steal ! They are just gorgeous ! 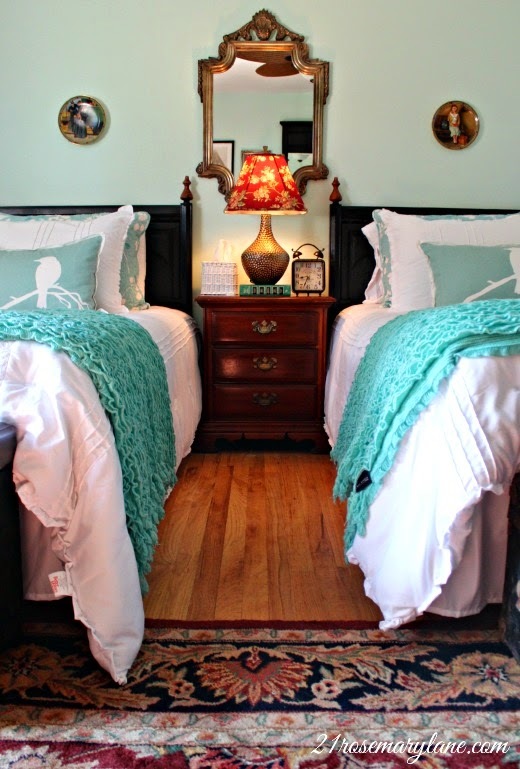 Love the bedroom and the score on the headboards. Stop by often buy now following and pinning. Hope you'll visit too.